Hanegi Park (羽根木公園) has beautiful Bairin, Japanese Plum Forest. Its Bairin has about 700 plum trees which bloom in early March. Every year, the people in congress of Setagaya plant Plum Trees since 1967. Today, it is popular Plum spot in Setagaya. 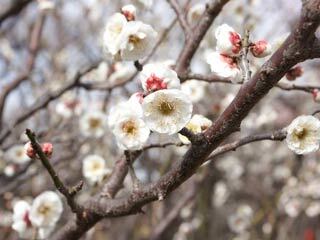 There is a Ume festival when plum flowers bloom. 1. use Keio Line to Meidaimae. 2. use Keio Inokashira Line to Higashimatsubara.